In the past, I've told you about changes you could make to update your skin regimen for winter, such as changing your face wash and your skin cream. The goal of these changes is always hydration, hydration, hydration. In the winter, it's easy for your skin to get dried out between the harsh wind, indoor heating, and hot showers. While there are certainly behavioral changes we can make to help combat this dryness, such as taking shorter, cooler showers and drinking plenty of water, what we put on our skin makes a big difference as well. Now there's new evidence that shows one of my favorite ingredients can make a real, visual, and palpable difference in skin dryness. Hyaluronic acid is an impressive and effective way to keep skin hydrated. The authors of a new study published in The Scientific World Journal agree. While they performed their study on rats, they believe their findings will have implications for humans as well, as hyaluronic acid has been previously shown in multiple studies to increase skin hydration. In this study, researchers tested the effects of hyaluronic acid that they administered orally and intravenously to male rats. They found that the rats absorbed approximately 90% of the hyaluronic acid and used it as an energy source to build tissues. They found high levels in the skin, suggesting that it naturally migrated to the skin and out of the bloodstream. The rats didn't show any excessive accumulation of the hyaluronic acid and eliminated the majority of it over time, indicating that it wasn't building up in their systems. These findings suggest that hyaluronic acid might be beneficial and effective in supplement form. You can certainly try that, but why not get it through the skin care products you're already using? The Système 41 Eye Serum, Restorative Night Treatment, and Day Crème all contain hyaluronic acid. 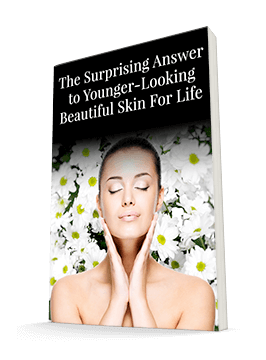 As we age, our bodies have trouble making the hyaluronic acid they were once able to. The lack of hyaluronic acid can rob you of hydration and your youthful glow, no matter the season. If you've noticed that your skin feels drier and tighter in winter, you'll especially want to give hyaluronic acid a try. With the Système 41 line of products, you'll be able to recapture that glow as you learn to care for your skin from both the inside out and the outside in.